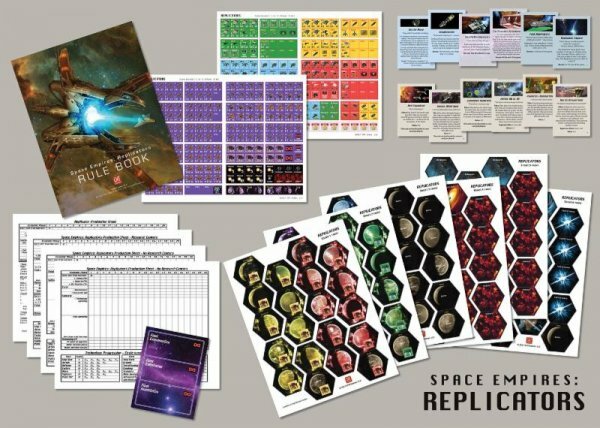 The solitaire system to play against the Replicator empire was was finished and is included in the game. Space Empires and Close Encounters already included solitaire and co-op scenarios that pitted you against Doomsday Machines, Alien Empires, and Space Amoebas. The break through developed for playing against Replicators is that no special set up is needed. They can be used as a solitaire opponent when playing on traditional 1v1 map layouts. 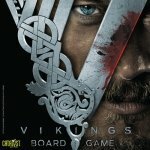 ● A different style empire in 2-4 player games. 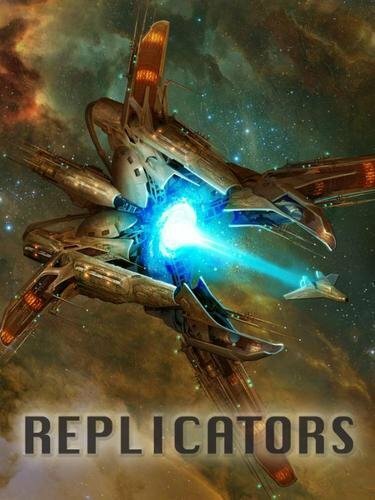 One player can play the game normally, while another player plays as the Replicators. ● A great teaching empire. The Replicator player does not have to fill out a production sheet or track the technology on his ships. So much more than adding a 5th player, it adds an empire that plays completely differently than a normal empire. It is simpler to play, but has its own challenges and difficulties. Terrain Tiles: Hex sized terrain tiles have been added for planets, asteroids, nebulae, and other permanent terrain effects. Six whole sheets and 120 tiles! When an exploration marker reveals a terrain effect that stays on the map, the exploration marker is removed and replaced by a tile. This gives the map a nice visual effect. It also creates more room in the hexes by removing the exploration marker. The entire hex is the terrain. 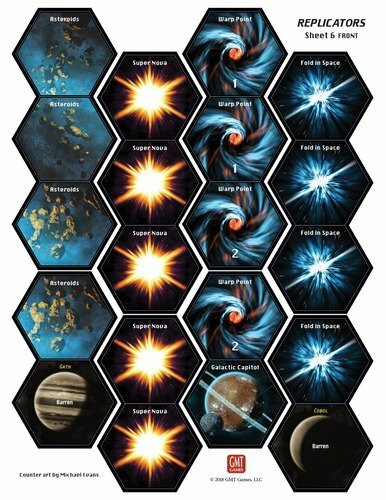 For epic games, the backs of some of these tiles can be used to connect two Space Empires Boards. Resource Deck: Each player is dealt his own (random) Resource deck at the start of the game. Everyone starts with a hand of three of them and draws another one each turn. These cards can be used as an event or turned in for CP. Some cards impact battles, exploration, economics, almost every aspect of the game - they add some unpredictable twists and can impact your strategy. They also add even more theme to the game. More powerful Resource cards require discarding an extra card to play. New Deep Space Terrain: New Deep Space terrain has been added, including the Galactic Capital (which comes with its own scenario), Regional Map, Gravitational Anomaly, Space Pirates, and the Fold in Space. ● Battle Carriers (BV), large carriers that can fight well, carry 6 Fighters, and come equipped with Anti-Sensor Hull (immune to Mines). Fighter 4s can also be researched and built. 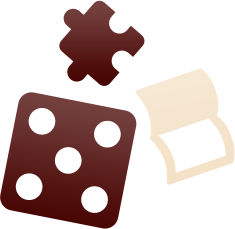 ● Advanced Destroyers (DDX) that can mount Attack 2, Defense 2, and come with Heavy Warheads (automatically hit on a 1 or a 2). ● Advanced Raiders (RX) that can mount Attack 3, Defense 3, and can carry one ground unit! All of the advanced ships can also be equipped with Fast technology (similar to BCs) if Fast 2 is researched. These changes don't impact the early and mid game, but make the DDs and Rs relevant in the late game. Raiders and Fighters are often curve balls that, once the opponent has reacted to them, lose their potency. This gives players another chance to throw a curve later in the game. Additional and Corrected Counters: Some additional counters have been included for all the players. The Fleet and Miner counters that were misprinted on the back in the Close Encounters expansion have also been corrected. New Empire Advantages: Additional Empire Advantages have been added. · NO Board - ownership of the original game, Space Empires: 4X, is required to play. 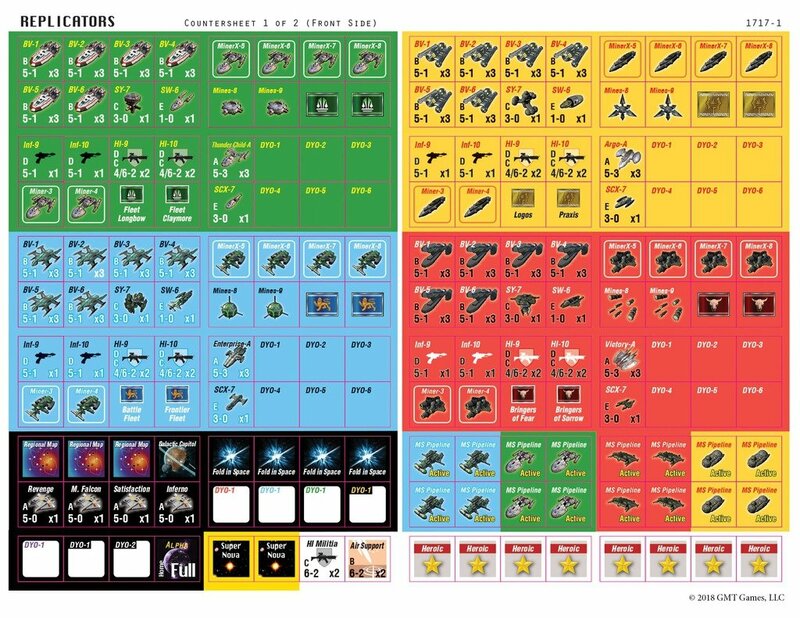 · Ownership of the first expansion, Space Empires: Close Encounters, is recommended.